Looking at the enemies in each game, PoE seems to take the crown here too. Sure, we’ve got the lord of terror himself in D3, but when looking at enemies in general, they often start to get mixed up, particularly when running rifts. Grinding Gear Games on the other hand appear to be far more active in this department, updating the game on a regular basis by adding new features, introducing patches and balancing skills. It just feels that Path of Exile massively outweighs it in areas where it matters the most. 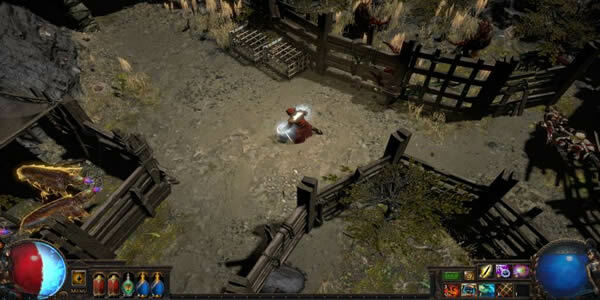 Grinding Gear Games’ Path of Exile has had five expansions since its initial release in 2013, and each one added more content to the base game. Gameplay has been limited to the island of Wraeclast, which is full of dungeons, monsters, and other terrors. Speaking of bosses, you will face 24 new bosses in the expansion. Sixteen of these bosses are the Old Gods, who are fighting among each other for control of the land. Path of Exile is coming to Xbox, and according to the game’s developer, they had the game running on Xbox One X in 4K and 60FPS two hours after receiving the Xbox One X development kit. Its great to see that PoE includes housing also, which is something that I would absolutely love to see brought to D3. In RPGs it is not uncommon for some players to prefer to spend hours killing weak monsters than to play against stronger ones. No more waiting, you can visit here to know more news.